Enjoy a real taste of traditional sailing with a two day cruise to Brixham or Anstey’s Cove on the magnificent Pilgrim of Brixham. 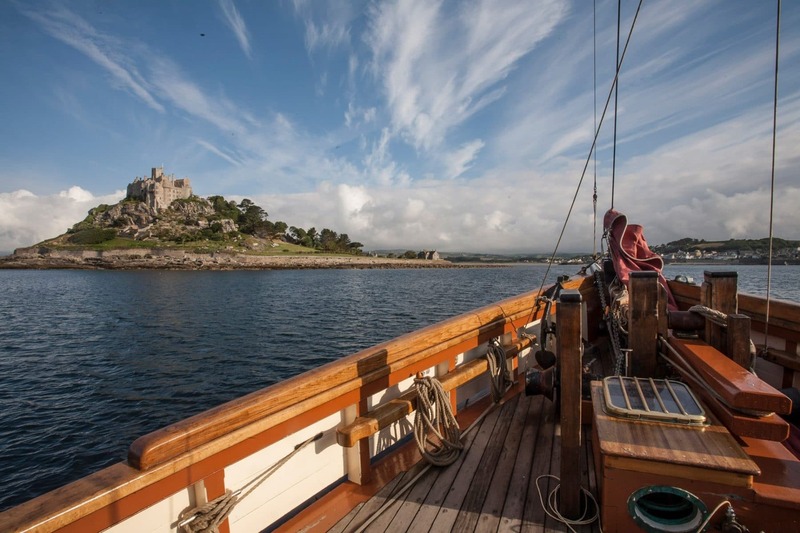 This 2 day/1 night trip is an ideal introduction to sailing a traditional ship. 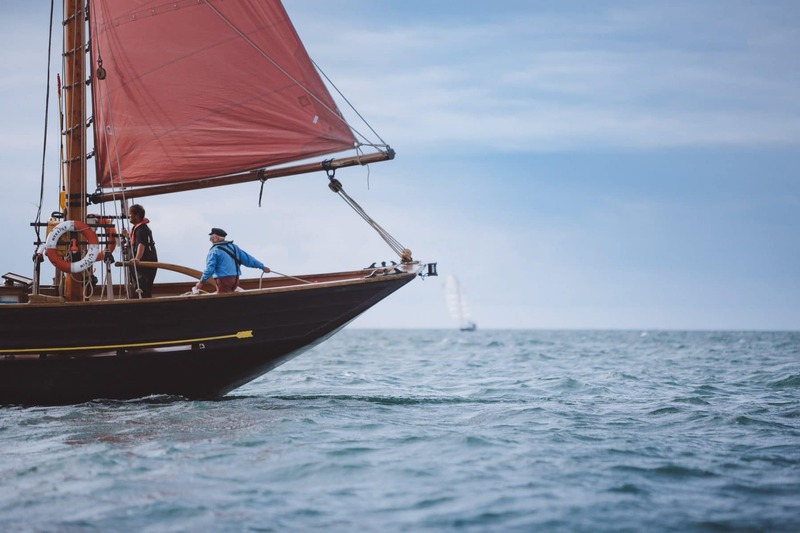 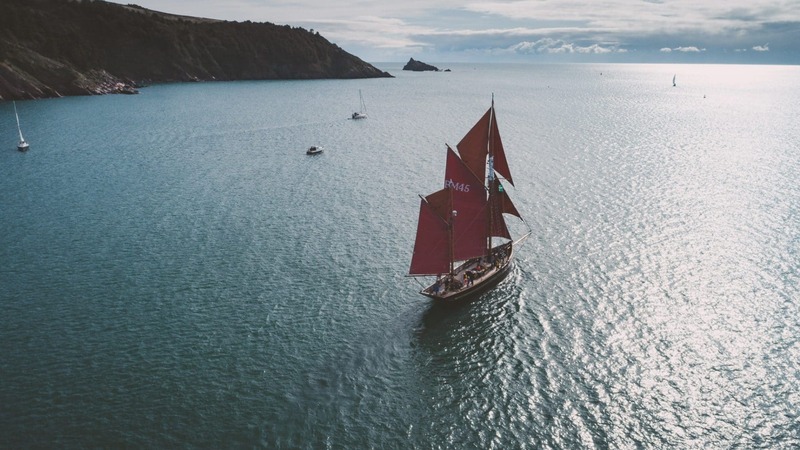 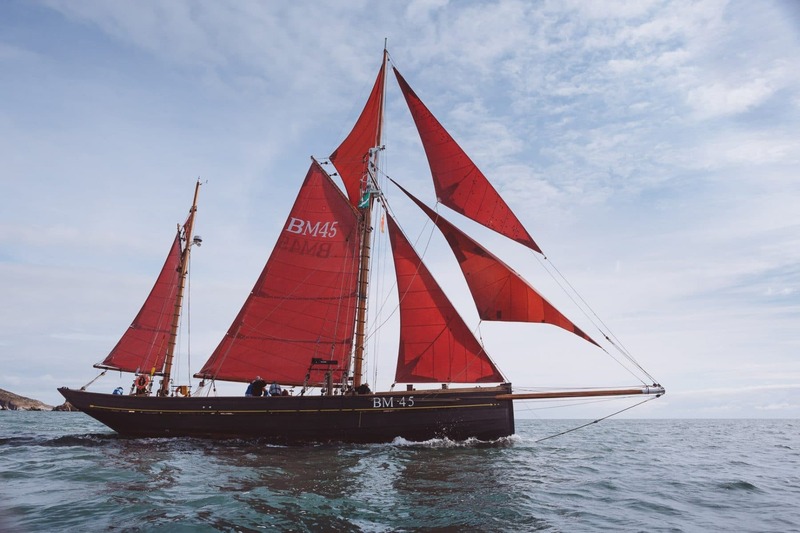 With her traditional red sails and rich heritage, the Pilgrim of Brixham is the perfect base to combine sailing and good food for a weekend to remember! 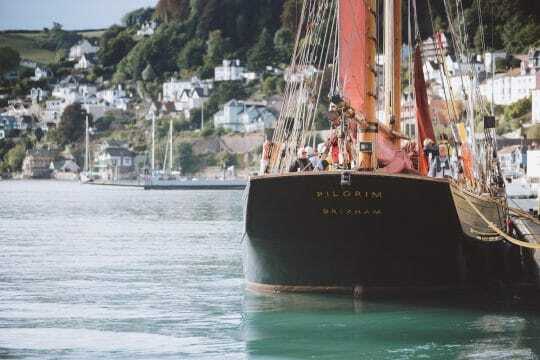 Your voyage will leave from Pilgrim’s home port of Brixham. Brixham is a busy fishing port, so watch out for local vessels bringing in their catch, as well as other traditional vessels sailing past. 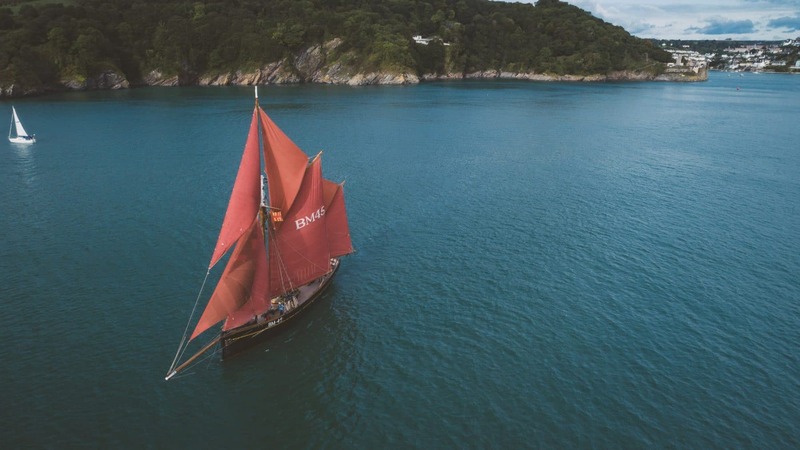 After sailing out of Brixham, Pilgrim will probably take you around Berry Head towards Dartmouth. Berry Head is a limestone headland, and this area of outstanding natural beauty is home to colonies of guillemots, black-legged kittiwakes, kestrels and gulls. 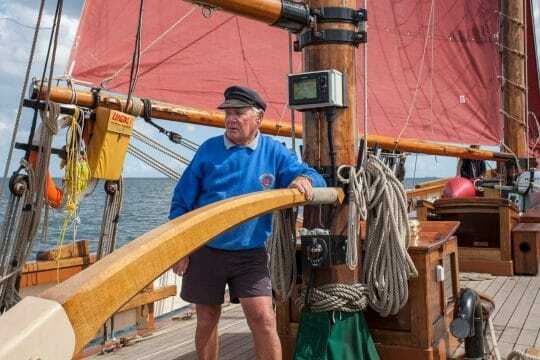 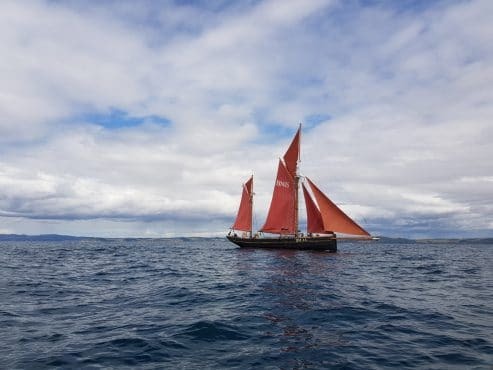 As you sail past the headland, have your binoculars at the ready and keep your eyes peeled for porpoises and dolphins which will often join Pilgrim, playing in the wake of the bow. 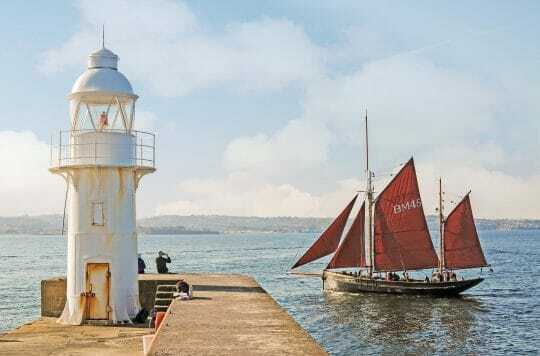 Sailing past Berry Head, look for the lighthouse built in 1906 which has the distinction of being the smallest, but highest sighted lighthouses in the British Isles. 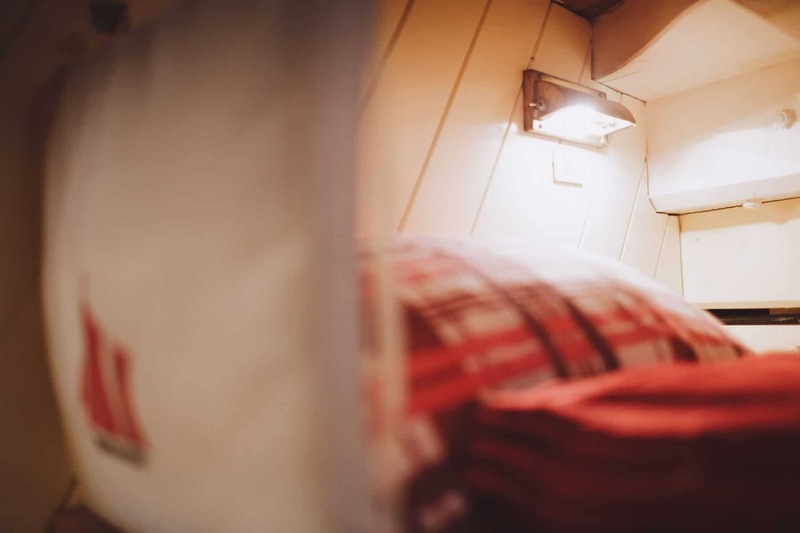 Its white light can be seen for 14 nautical miles. 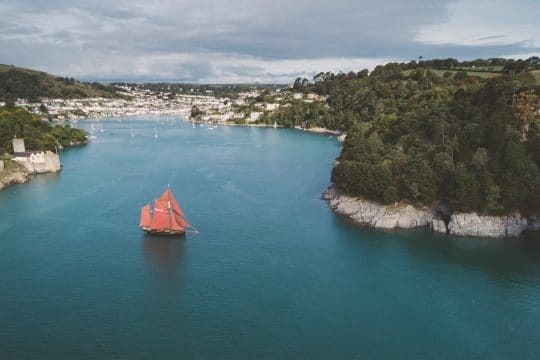 This area is also the site of a Napoleonic Fort built between 1794 and 1804 – Designed to protect Torbay from the French in the days when Torbay was a strategic naval anchorage. Enjoy the coastal scenery with interesting rock formations creating rugged limestone cliffs, sandy bays, coasta­­­l coves and inlets. 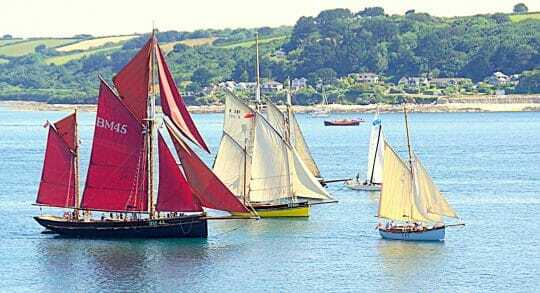 If you head for Dartmouth you will sail past St Marys Bay, the dramatic headland of Sharkham Point. 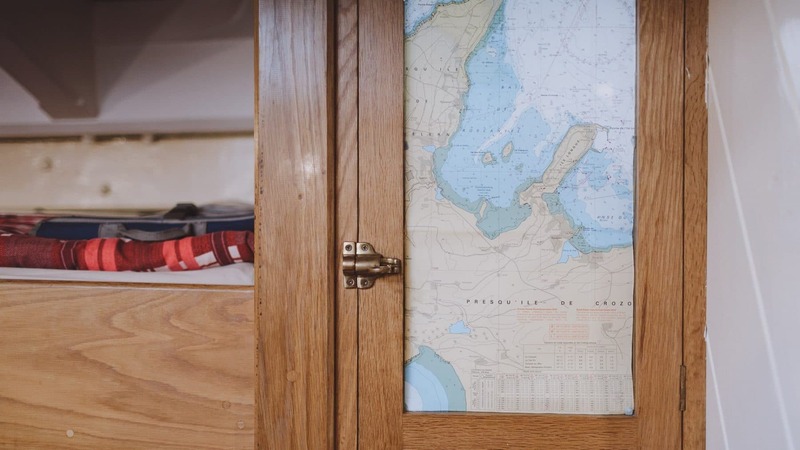 A ‘Day Mark’ built in 1864 on the eastern side of the estuary helps us identify the River Dart. We then pass the Mewstone rock just outside the mouth of the river. 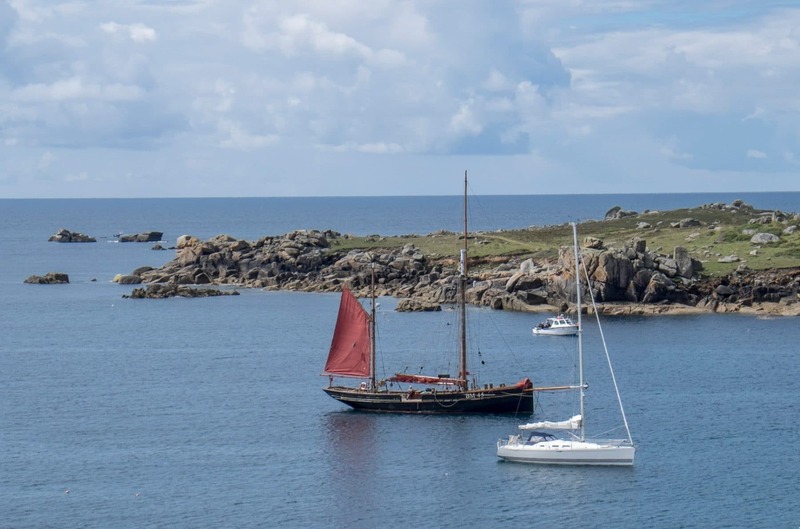 This is often another spot to see the occasional harbour porpoise, common grey seal as well as cormorants, guillemots, and gannets. 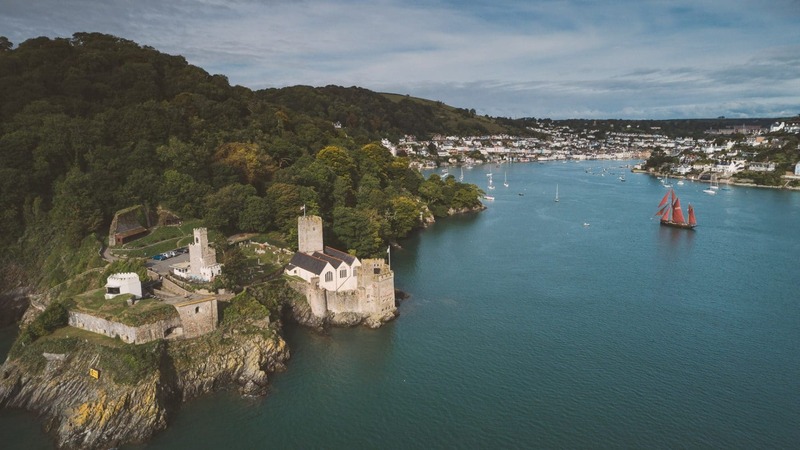 The rocky entrance to the r­­­­­­­iver is guarded on the west side of the estuary by a 15th Century castle, which also incorporates the church of St Petrox. 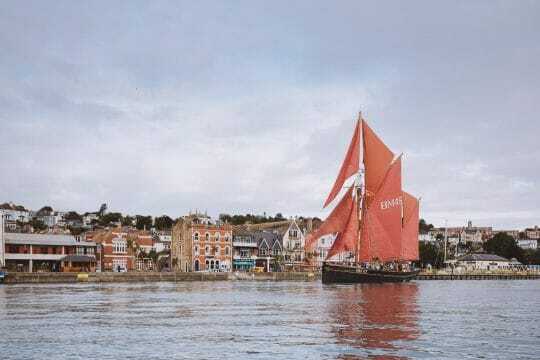 Kingswear, the harbour town directly opposite Dartmouth has its own historic castle. 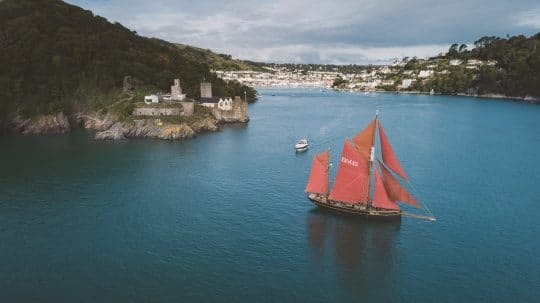 During the 2nd world war, the two fortifications were linked by chains at dusk to damage enemy ships attempting to attack Dartmouth. 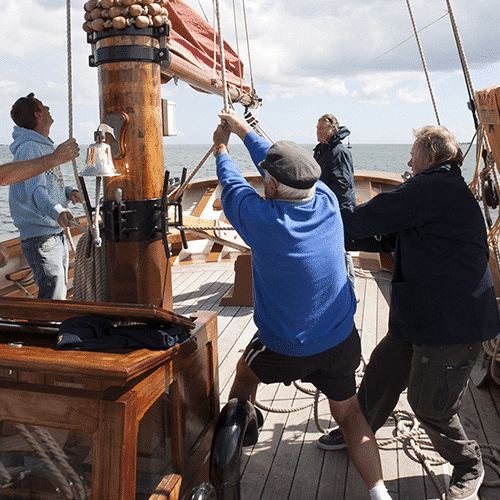 The crew know the area really well and will do their best to show you the best bits. However please note we cannot guarantee the itinerary due to the inevitable wind and tides. 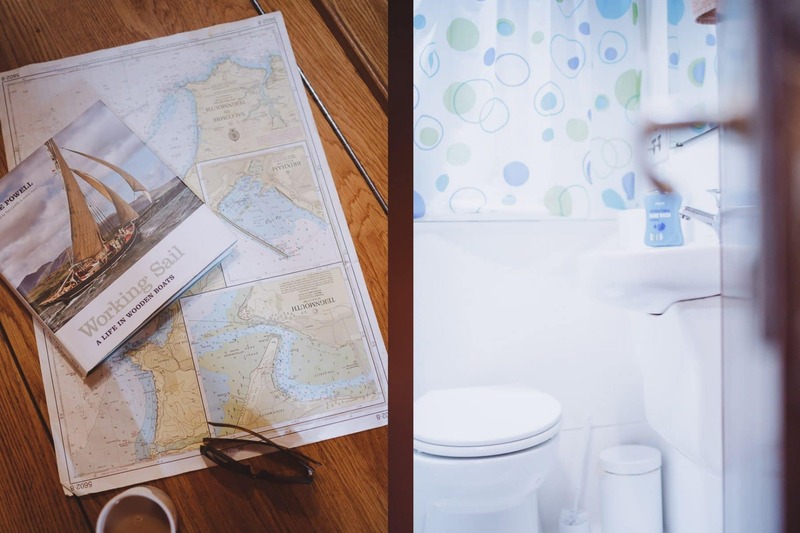 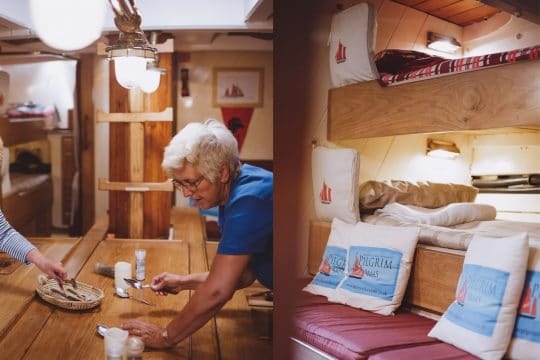 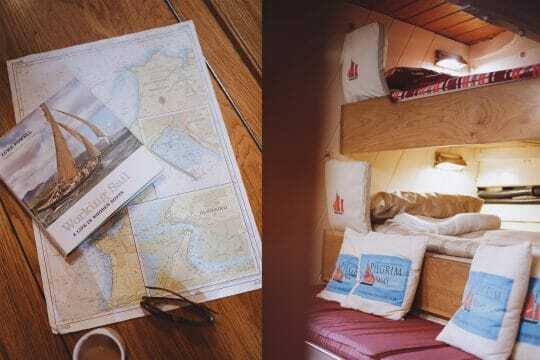 During your Bed & Breakfast weekend, you can either sit back and relax or help the crew hoist the sails and even take the helm – it’s entirely up to you! 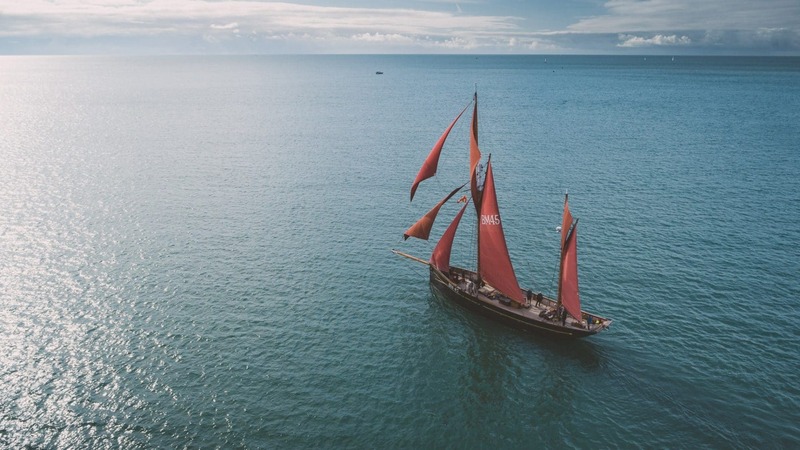 Whatever you decide, enjoy the magnificent scenery, fresh air and exhilarating sailing. Our Skipper and crew will be on hand to ensure that your time onboard is as enjoyable as possible. 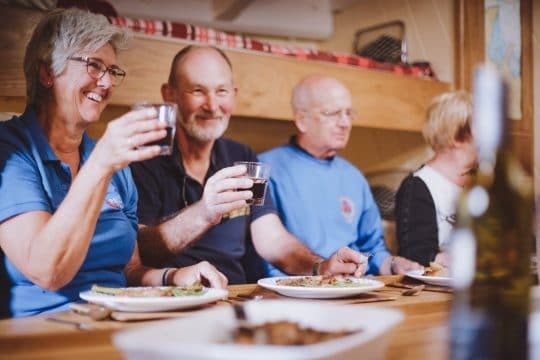 Whilst you enjoy the scenery, our onboard cook will have prepared a traditional Devon Cream Tea for you and later that evening a tasty two-course supper for you and your fellow guests to enjoy. You can then relax before you settle down for a comfortable nights sleep! The following morning, enjoy the sights and sounds of the River Dart or the Babbacombe/Teign coastline, then enjoy a delicious breakfast on board, before sailing back to Brixham. 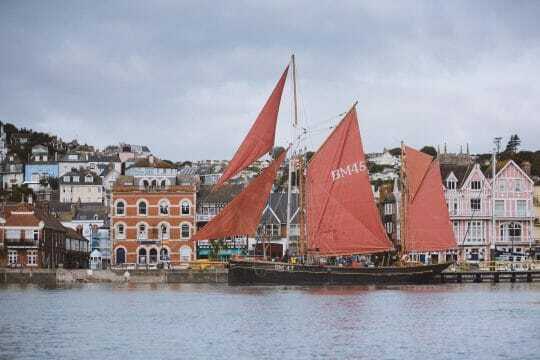 Pilgrim of Brixham, built in 1895, is a traditional gaff rigged ketch that is one of a handful of remaining wooden sailing trawlers that were built in Brixham. 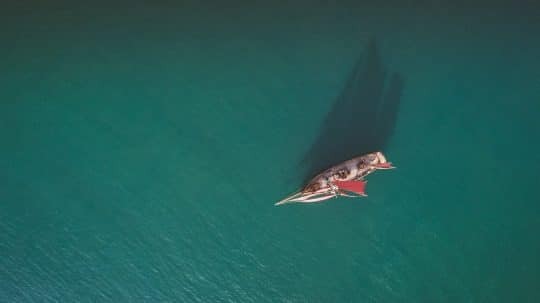 Pilgrim and her iconic red sails were once part of a large fishing fleet operating out of Brixham, which used to be the principal fishing port in the country. Her survival is testament to her quality, with many similar Victorian fishing vessels having a life span of less than 20 years – and the main reason for her survival is thanks to funding from the Heritage Lottery Fund, the South Devon Coastal Local Action Group and many individual donors and volunteers. 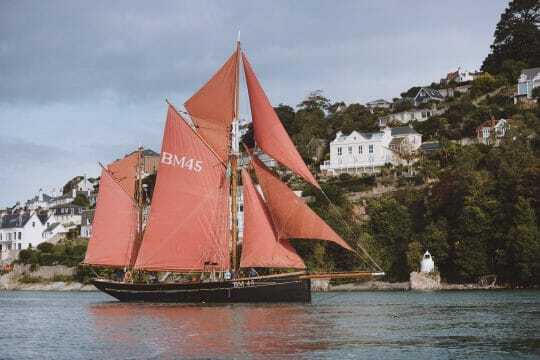 After spending many years under different owners in Scandinavia, in 1999 she was brought home from Denmark back to Brixham. 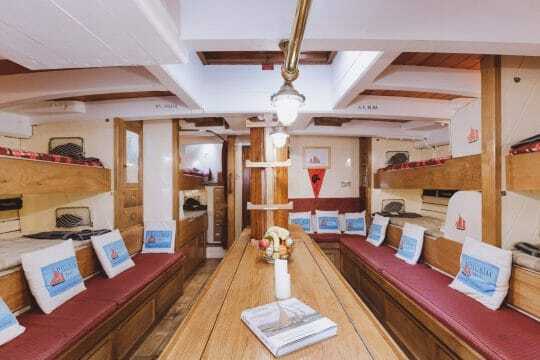 After significant restoration work, a few mishaps along the way and a hefty dose of community spirit, Pilgrim was returned to her former glory above decks, and brought up to modern standards below. Today, as a charter vessel, the Brixham community still rallies around Pilgrim, with local crew, experienced and skilled volunteers performing maintenance and making the Pilgrim of Brixham operation run like clockwork. 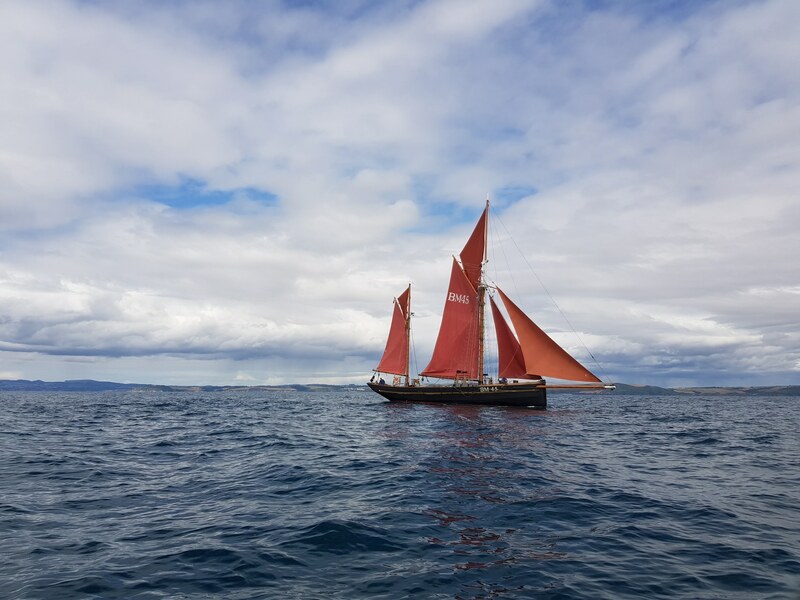 VentureSail is incredibly proud to have a hand in getting people aboard this historic vessel to not only experience how magnificently she sails, but also to see how passionate those that sail her are. 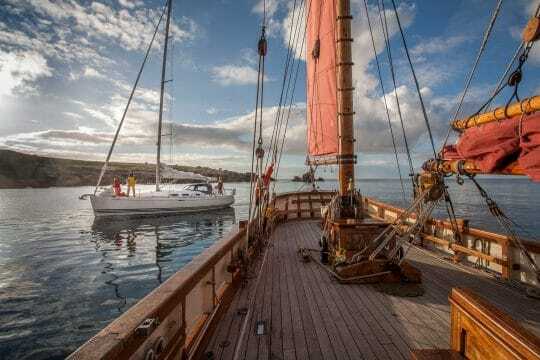 Join Pilgrim on voyages around Devon, Cornwall and the Isles of Scilly, or experience maritime festivals on this incredible vessel.